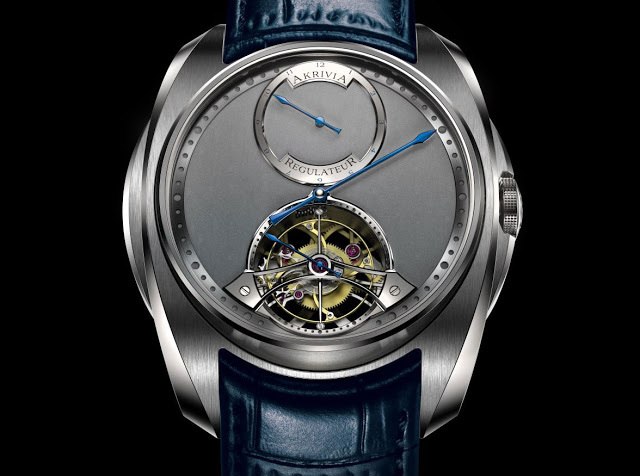 The latest creation by new independent watchmaker Akrivia, the Tourbillon Regulator features a proprietary movement designed to be symmetrical, and finished by hand. A recent addition to the ranks of independent watchmakers, Akrivia was founded by Rexhep Rexhepi, who hails from Albania. Based in Geneva, Akrivia makes and finishes watches the traditional way. The Tourbillon Regulator is the newest addition to its collection, powered by the in-house AK-04 movement. The time is displayed regulator style, with the hours in the sub-dial at 12 o’clock and the minutes on the central axis. The aperture at six o’clock reveals the one minute tourbillon which contains an unusual balance wheel with four curved spokes with adjustable weights. Because Rexhepi counts amongst his past employers Patek Philippe and F.P. Journe, haute horlogerie construction and finishing are close to his heart. The term “akrivia” is a Greek word that means adherence to religious law in the Eastern Orthodox Church. Adherence to the traditions of fine watchmaking are evident in the symmetry and decoration of the hand-wound movement. For example the calibre has two third wheels that mirror each other, for symmetry as seen from the back. And the bridges feature 50 inward angles, with all the edges chamfered and polished. The case is 43mm in diameter and made of steel, with bevelled lugs that are meant to echo the finishing of the movement parts. 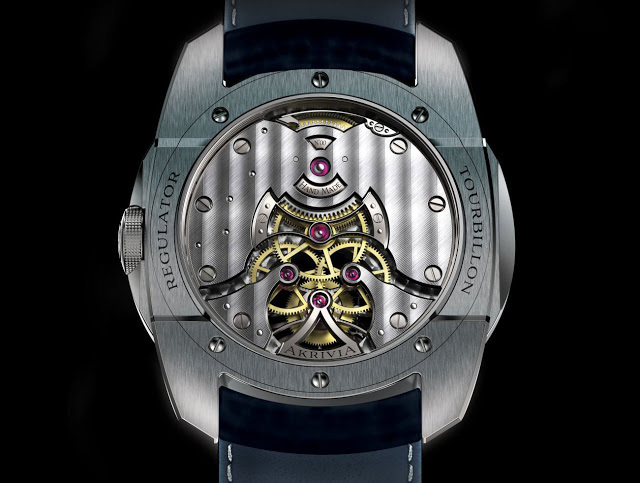 The Tourbillon Regulator is priced at SFr125,000, equivalent to about US$130,000.